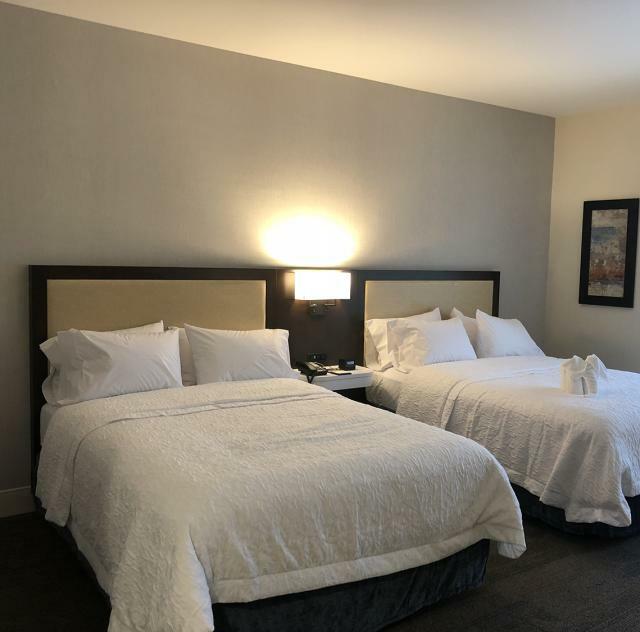 Family and business friendly, Hampton Inn Benson is conveniently located at the interchange of I-95 and I-40. Access the Research Triangle area easily and return from your day to a quieter stay. Our downtown Benson hotel is near the history museum, a working moonshine distillery, drag racing excitement and just two hours from the beach. Raleigh-Durham International Airport (RDU) is about 47 miles away. Bring the family, including your pet. Our hotel is next to a dog park, and we offer cribs and high chairs for small children. Splash in our outdoor saline pool or sit by the fireplace under the pergola outside. Clean-up is stress-free with our coin-operated laundry. When you’re traveling for work, you’ll appreciate our free WiFi throughout the hotel and 24-hour business center with printing services. Our meeting room has space for up to 80 people, and you may rent our audio/visual equipment there as well as in the boardroom. Parking is complimentary. In addition to our free hot breakfast, you’ll have options for hot beverages in the lobby, and snacks, drinks, and sundries from the Treats shop. A variety of familiar restaurants are nearby. 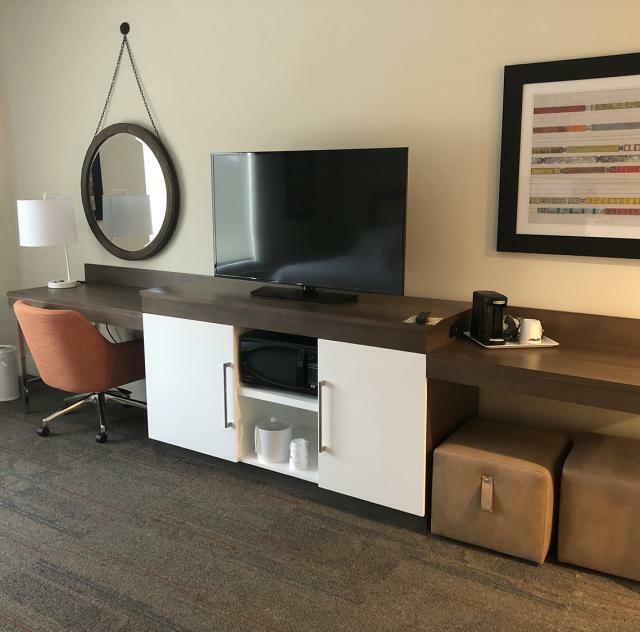 Our thoughtful guest rooms are equipped with king- or queen-sized beds, a mini-fridge and microwave, coffeemaker, work desk, and a 50-inch HDTV. Connecting rooms and accessible features are available. Let us bring a smile to your travels with a stay at Hampton Inn Benson.